Radiant Cut diamond is one of our favorite diamond shapes. The 70 facets in a radiant cut diamond allows it to emanate a tremendous amount of shine. Radiant cut diamond is a vibrant and exuberant square/rectangular diamond that has complete brilliant-cut facet pattern applied to its crown and pavilion. Radiant cut diamond is also an excellent reflector of light - this is why it served as an alternative to the emerald cut diamond when it was invented. Since 1970’s, radiant cut diamond has been a popular choice, and credit goes to Henry Grossbard – the mastermind behind the shape of radiant cut diamond. 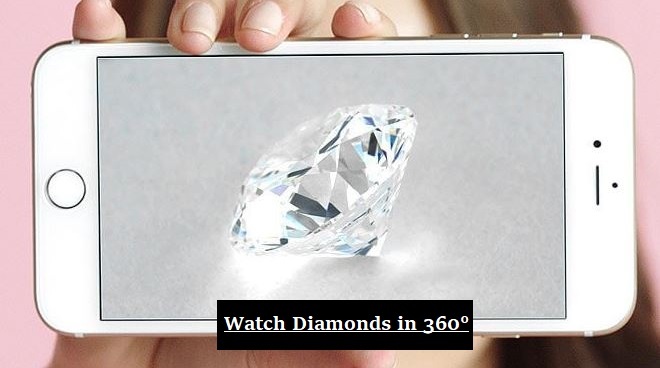 Tools like JamesAllen.com's 3D 360 Degree 40X Magnified Videos can be very helpful in assessing how change in proportions and length to width ratios affect the appearance of an asscher cut diamond. Try to use the outlined proportions below and play with their search filter to get a good sense of what might be a good option for you. The chart above serves as a general guideline when evaluating the cut of a radiant diamond. The length to width ratio of 1.00-1.04/1.20-1.31 is considered the classic cut for both square and rectangular shape of radiant cut diamond, but the personal preference could override that. Consider the radiant cut diamond if you appreciate the sophistication of emerald diamond and the fire of a round diamond; it would be a perfect combination of a round and an emerald diamond in terms of fire and sophistication. You can also obtain a perfect combination between the cushion and princess cut if you look at its cropped corner square shape. 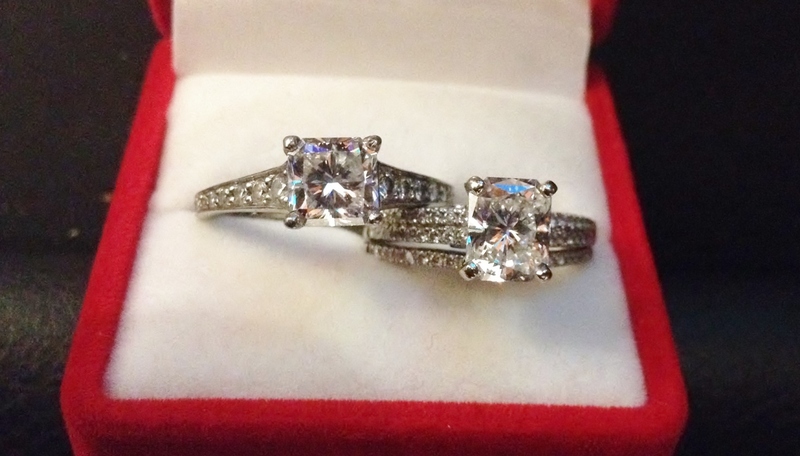 That nice bridge between the cushion and princess cut makes it look beautiful set with either round or square corners. Just like evaluating the color in other diamond shapes, color in a radiant cut diamond is critical. The higher the color grade, the better. In our experience, many buyers prefer the warmer colors over the colorless colors given the difference in price. In the color spectrum, the warmer colors refer to the near colorless range of G-I color diamonds while the colorless colors refer to D-F color diamonds. The price premium for a lower color grade radiant cut diamond would be significantly lower. For more detailed information on the color of cushion cut diamond, use the table below. Choosing the kind of clarity is subjective in a radiant cut diamond. Choose a radiant cut diamond that meets your standards in terms of clarity. Each of our customers has a unique standard for clarity and color. Some of our customers want a flawless diamond while others are perfectly comfortable with a slight inclusion as long as it is not easily noticed. In our experience, considering any clarity above SI2 (GIA standards) would be perfectly fine! 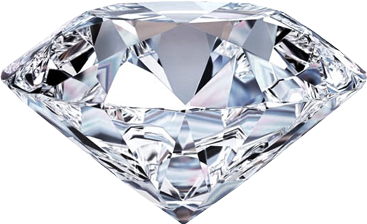 Be sure to check out our diamond page to compare actual prices of different companies.